DETROIT – The rebuilding Detroit Tigers will start fresh next season with a new manager. 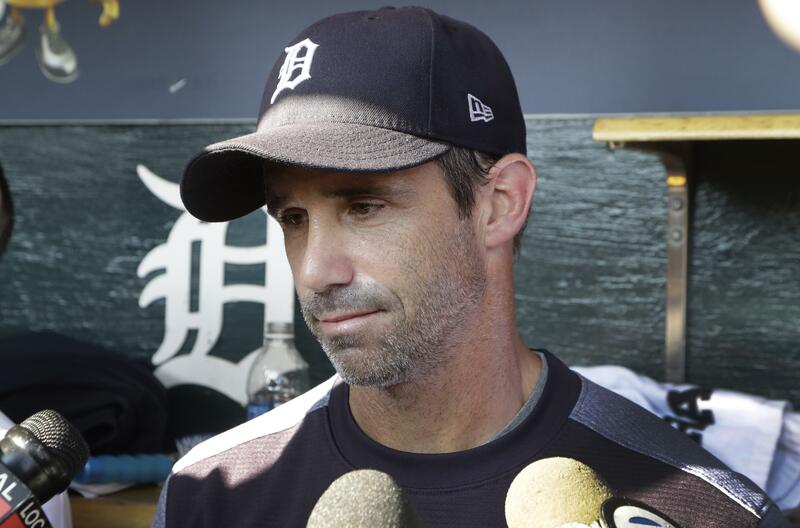 The Tigers announced Friday that Brad Ausmus will not return in 2018. General manager Al Avila said the team was not extending Ausmus’ contract, meaning the manager’s four-year tenure will end when this season is over. Ausmus was 312-325 heading into Friday’s game against Minnesota. His tenure included an A.L. Central title in his first season, but the Tigers have not made the postseason since. Detroit has been shedding payroll this year, trading stars Justin Verlander, Justin Upton and J.D. Martinez, and the Tigers are assured of no better than a fourth-place finish in their division. Ausmus took over for Jim Leyland before the 2014 season, inheriting a star-laden roster, but one that was starting to show the effects of age. Now the Tigers face a rebuilding period. Detroit went 86-75 last year and nearly made the playoffs, and the Tigers kept their team largely intact, hoping they could contend again in 2017. Ausmus returned as well this year after Detroit picked up his option, but the Tigers weren’t even able to mount a serious challenge for a wild card. Ausmus had little managerial experience when he took over for Leyland, but the former major league catcher initially looked like exactly the type of younger, fresher voice who could help the Tigers keep their run of success going. Detroit started 27-12 in 2014, but that turned into an up-and-down season in which the Tigers finally wrapped up their fourth straight division title on the final day of the regular season. They were then swept by Baltimore in the Division Series. After an 11-2 start in 2015, Detroit eventually fell well behind first-place Kansas City, and the Tigers traded stars David Price and Yoenis Cespedes during that season. The Tigers spent big in an attempt to return to the playoffs the following season, but after acquiring Upton and Jordan Zimmermann, the team fell just short of a wild card in 2016. Published: Sept. 22, 2017, 4 p.m.